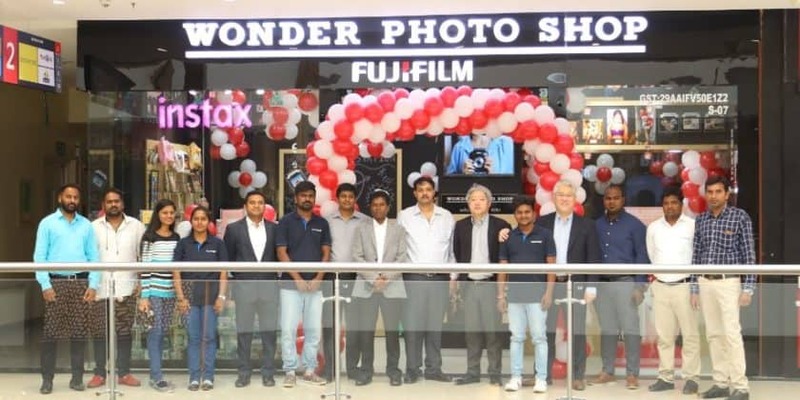 Following the success of its ‘WONDER PHOTO SHOP’ in Chennai and Mumbai, FUJIFILM India has unveiled its exclusive experiential store in Bangalore – ‘Wonder Photo Shop’, making it the third concept store of its kind for the ultimate photo printing and brand experience in India. Located at Phoenix Market city, Whitefield Main Road, the latest Wonder Photo Shop in the city aims to celebrate Bangalore’s love for photography, art and culture. The store embodies a holistic vision of photography, from picture taking to printing, sharing and social networking, as a creative life experience. With the theme ‘Photo Renaissance’, the store offers an opportunity to experience an immersive and interactive retail space with Fujifilm’s state-of-the-art products and services to meet the aesthetic taste of discerning customers especially the youth. The Wonder Photo Shop will be open all days from 10:30 AM – 10:00 PM. Fujifilm India launches first ‘WONDER PHOTO SHOP’ in Bangalore 0 out of 5 based on 0 ratings. 0 user reviews.